China has brought 11 rare earth mines under state control as Beijing consolidates the industry -- a move analysts said Thursday could drive up prices of the elements, used in mp3 players and hybrid cars. Authorities have targeted mines in the eastern province of Jiangxi, which is rich in heavy rare earths, as it seeks to strengthen "protection and reasonable development" of the sector, the land and resources ministry said this week. China, which produces more than 95 percent of the world's rare earths, has tightened control over the metals by slashing quotas for overseas shipments, hiking export taxes and cracking down on heavily polluting mines. The moves have raised concern overseas that China was abusing its market dominance of the 17 elements used to make everything from wind turbines to flat screen televisions. The ministry said Monday the 11 mines covering an area of 2,534 square kilometres (978 square miles) were the first batch of "state planned mining zones" for rare earths. Analysts said the move to bring the mines under state control was a key step towards consolidating the fragmented industry in the south and would likely increase the cost of the elements. "Prices will go up once (mining) concentration rises and the state strengthens control," said Sang Yongliang, an analyst with Guotai Jun'an Securities in Shanghai. Sang said the government may be targeting heavy rare earths, which are more expensive than the light elements because of their scarcity. Japanese industry said last year China temporarily cut off exports of rare earths in the midst of a diplomatic row. Beijing has denied any political motivation for its control of the elements and has insisted the issue is an environmental one. The commerce ministry said last month it had slashed rare earth export quotas by about 35 percent for the first six months of this year. 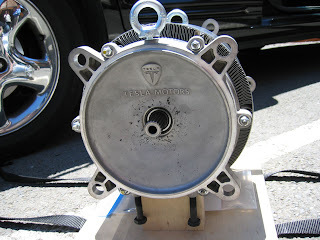 While Tesla Motors have used AC Induction motors from day 1, Toyota recently announced it was developing AC Induction motors as an alternative to their current range of hybrid electric motors that are manufactured using rare earth materials. At the same time that the world suffer a great impact in various technologic developments in progress, by this decision, many other researches still archived, as unviable till the moment, strongly arise. While business men explore heated demand, many innovators are making their positive work in developing another technologic solutions. This is the way to the dynamic moving of economic geography and the failure of the greedy. Welcome, Mr. Hu Jintao, to a era of great changes on the global scene.